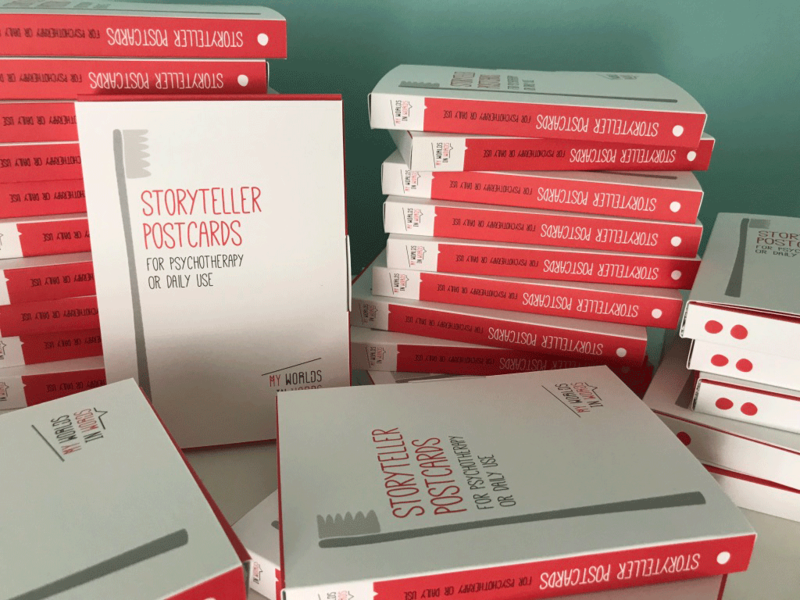 Each postcard is the product of a specific story which is written for a client or a colleague. The stories may be connected to different people with unique life events, but we all identify ourselves with parts of the story or the images. The postcards can be used independently. They have written quotes on both sides, which augment the prompting effect in therapy. You can learn more about their functions and their clinical use by reading the accompanying brief manual. If you slow down for a minute and take a look at one postcard, you will definitely listen to a story! You can then allow yourself to be in tune with your inspiration and write down what you have heard. You have the chance to create 40 stories or even more! The box with the postcards can be sent to you by post. For more info contact us here.